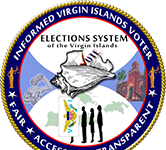 Democratic Candidates for Governor Allison “Allie” Petrus and Lieutenant Governor Sammuel “Sammy” Sanes issued a statement Thursday questioning the Government House press release from earlier in the day where Governor Kenneth Mapp attempted to take credit for repaying monies owed to the Government Employee Retirement System (GERS) that were illegally withheld from U.S. Virgin Islands Retirees. 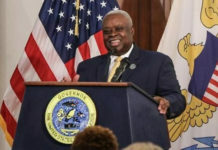 “The fact of the matter is that Governor Mapp and his Administration were caught withholding monies that were owed to GERS and to our Virgin Islands’ Retirees, in order to fund government expenditures, and, furthermore, it was not until he was ordered by Judge Gomez to repay those monies, that he did so. Now he wants people to thank him for it?? I think this is just one more example that continues to show how out of touch this Governor has become when it comes, not only to running our government, but when it comes to putting our people first,” said Mr. Petrus. 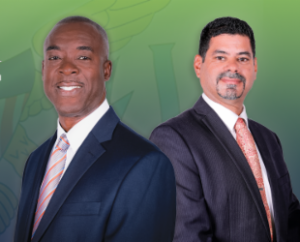 Mr. Petrus was referring to the ruling by Judge Curtis Gomez in March 2018 that found the Mapp Administration in violation of withholding payments to the GERS Retirement Fund, as required by law. Judge Gomez subsequently ordered the Mapp Administration to re-pay those monies that were due to the GERS System.